“Love One Another”, from John 13:34 is the 2019 theme for the National Day of Prayer. Song, dance, praise and Prayer on Bricks will be held on the downtown mall May 2nd from 11 a.m. to noon. 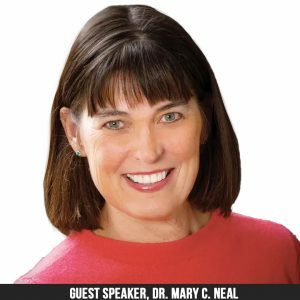 Prayer for the city, state and nation will be from noon to 1 p.m.
Dr. Mary C. Neal the author of “To Heaven and Back” and “7 Lessons From Heaven” will be this year’s speaker at the Cumberland Area National Day of Prayer Rally and Prayer Breakfast. Dr. Neal is a board-certified orthopedic spine surgeon who drowned while kayaking on a South American river. She experienced life after death. She went to heaven and back, conversed with Jesus and experienced God’s encompassing love. She was returned to Earth with some specific instructions for work she still needed to do. Her life has been one filled with the miracles and intervention of God. Her story gives reason to live by faith and is a story of hope. Joyce & George W. Lapp Jr.